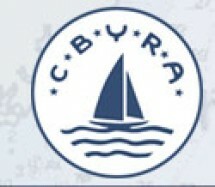 Depending on weather conditions, a distance race of 10–30NM around CBYRA Regions 2 & 3 marks passing through one of the middle three spans of the Chesapeake Bay Bridge. 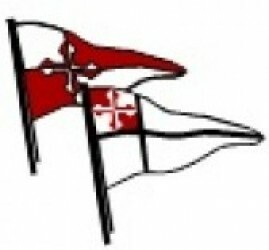 The course will be announced on VHF 72 and will be designated using placards on the Race Committee Signal Boat at the starting line, showing the Region and the CBYRA letter designations of the marks to be utilized in each Region in order to sail the course. GIYS will host a Dock Party (cookout, keg, and cash bar) at 1730 on Saturday 17 May at the GIYS Boathouse for competitors in the SCC–GIYS Spring Regatta and the MRSA Spring Classic and guests. Party tickets may be purchased separately. Party tickets purchased on line by 2400 8 May are $20 per person. Tickets purchased after 2400 8 May 2014 are $25 per person. The intent is to eliminate any ambiguity since the configurations of the spans of the northern bay bridge and the southern bay bridge are not the same. There will be free overnight dockage or mooring and tender service at Gibson Island for yachts competing in the SCC-GIYS Regatta. GIYS will host a Dock Party (cookout, keg, and cash bar) at 1730 on Saturday 17 May at the GIYS Boathouse. You can buy party tickets in the Event Storefront Spend Saturday night at Gibson Island and cruise home or race again on Sunday. MRSA will host its Spring Classic on the Magothy River on May 18th.